Between 2018 and 2019, upgrades to Newton Highlands Station are being designed. These updates will make the station accessible to people with disabilities and remove barriers to access on the Green Line. In addition, a temporary ramp is being constructed at the station to make it accessible while work along the D Branch requires shuttle service overnight and on some weekends. This ramp will be demolished before work on the permanent accessibility upgrades begin. The overall accessibility of the MBTA has improved significantly in the last decade, but a number of stations on the Green Line present numerous barriers to access for people with disabilities. At Newton Highlands, these barriers include station access and boarding and exiting trains. What will station upgrades include? Permanent accessibility upgrades are being design through 2019. We will keep this page updated with information you need to know when work begins. 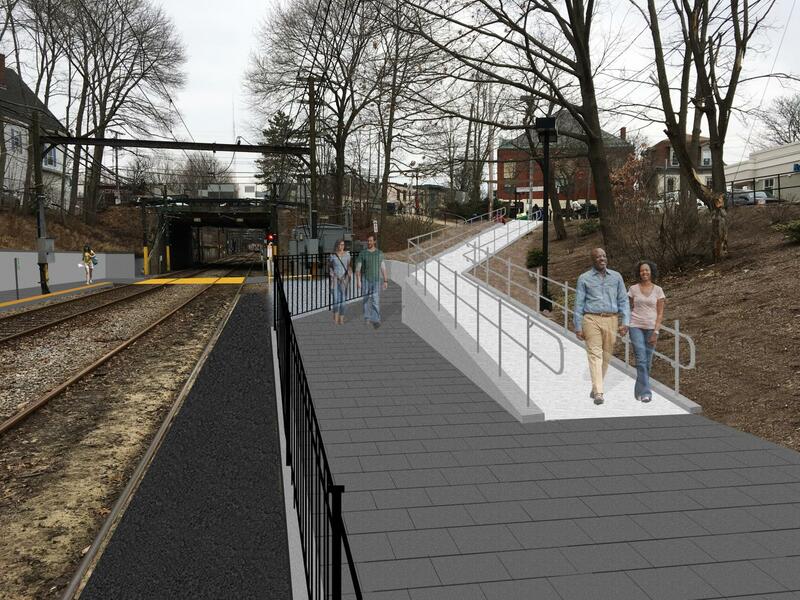 Please note that a temporary pedestrian ramp is currently being built at Newton Highlands, and will open soon to facilitate shuttling along the D Branch while tracks and signals are being upgraded.